Along with our partner, Zebra Technologies, ID Technology is hitting the road – the first Northeast Roadshow! Five Days, Five Cities – from Pennsylvania to New Hampshire – Here’s your chance to get to see what’s new in Labeling, Coding and Marking. Highlights include the brand new Zebra ZT430 label printer and our VP700 for printing glorious color labels on demand. Join us for an hour or the afternoon to see a unique line up of labeling, coding, and marking equipment all in one place. ID Technology will be traveling throughout Northeast areas to meet with growing companies looking for innovative ways to identify product, add full-color to on-demand product labeling, apply labels automatically, and code product for tracking and traceability. Join us in a relaxing atmosphere where you will have the opportunity to walk about, talk with professionals that have extensive experience with identification products and systems. No presentations, no long speeches – just a lot to see, and hands-on, live demonstrations. Why should you come see us? See how label printer applicators consistently and accurately apply labels even in the harshest production environments. Transform generic cases and cartons into your brand with large character inkjet printers. See live demonstrations of small character laser coding with our affordable ICON CO2 laser. See continuous ink jet coding for non-contact marking on a variety of materials. High-speed thermal transfer overprinters that deliver quality without slowing down production. It’s free, and we bring the show to your area. So come on by. Meet one-on-one with professionals who work with the equipment, design labeling systems, and customize solutions. It’s not just an equipment show – our strength is knowing how it all comes together in your operation. This is where you will see just how we can help you with your labeling, coding and marking requirements from meeting compliance regulations to solving those problem areas that seem to slow you down. LABELING– ID Technology products range from the simple semi-automatic label applicator to the high speed label printer applicator. Labeling solutions include blank to full-color labels, tags & ribbons, and RFID product tracking solutions. CODING– Coding solutions include small character ink jet coders, laser coders and thermal transfer overprinters to print date/lot codes, bar codes and text on almost any substrate. MARKING– The large character inkjet printers are designed for marking on generic cases and cartons. 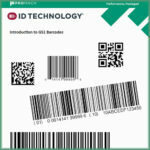 ID Technology designs, manufactures, and integrates complete custom identification systems that include labeling, marking, and coding solutions. Zebra Technologies is a global leader in barcode printing and RTLS technology including printers, RFID, software and supplies. Together we can help you gain insight into and control over your identification and tracking issues. Please keep me on your email list for the next road show. Unfortunatly I was not able to be in town during this current road show. Will do, Michael – thanks!